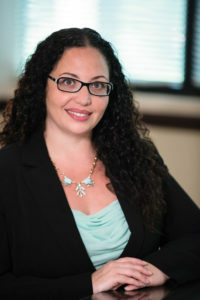 How Workers Compensation Insurance Protects Employees – Diana I. Castrillon, P.A. When a Florida workers’ compensation claim is filed, there is typically a pre-determined benefit amount that is paid out to the employee(s) in question. This amount is reflective of the employee’s pay as well as the amount of time that they are off work because of the issue. If someone works in a factory where they use their arms regularly, having a rotator cuff procedure due to extended wear and tear would be covered by workers’ compensation, for example. They would be compensated for time off work, the procedure itself, and the recovery and rehabilitation that will get them back on the job. Every state has their own guidelines and regulations surrounding workers’ compensation claims, and it is up to each employee to know what they are subject to, eligible for, and which things are excluded from their claims. This is not a lawsuit directed at the employer, but a claim filed against the employer’s insurance company much like a claim filed against a car insurance company when a car accident occurs. According to workers’ compensation laws, employees cannot sue their employer for accidents that occur on the job and employers cannot terminate employees that file a claim under this provision. Workers’ compensation typically pays for medical bills, temporary disability in place of paychecks because the employee cannot work, and benefits for permanent disability when the employee cannot return to work. By taking care of these areas of protection, people are guaranteed the treatment that they deserve. No one has to worry about being fired because they aren’t able to work or losing their income because they have to take time off for an injury. Sometimes, insurance companies will not recognize a legitimate claim, which requires the addition of a workers’ compensation lawyer and legal filings to the claim to contest the decision made when it is not the right decision. The Injury Law Clinic is a South Florida personal injury lawyer here to make sure the citizens of Florida are treated fairly. Contact us today! How Long Do You Have to File a Truck Accident Claim?